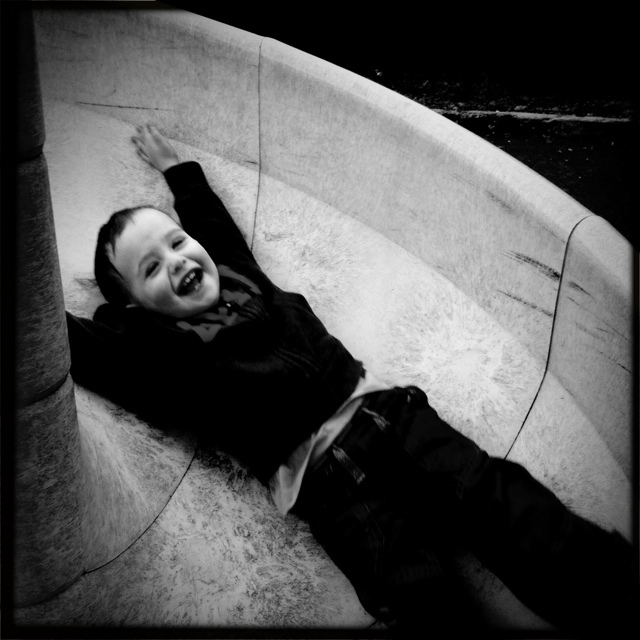 Time after time I’m reminded that it’s the simpler things – like whooshing down a slide – that bring real joy in a Little Man’s life. Me too! It’s one of my favorite photos!